MEDORA, ND: Theodore Roosevelt National Park and the town of Historic Medora invite inquiring minds of all ages to attend the fifth annual Dakota Nights Astronomy Festival Friday, September 15 through Sunday, September 17. Join park rangers, astronomers, and space enthusiasts of all types to celebrate North Dakota’s beautiful night skies. 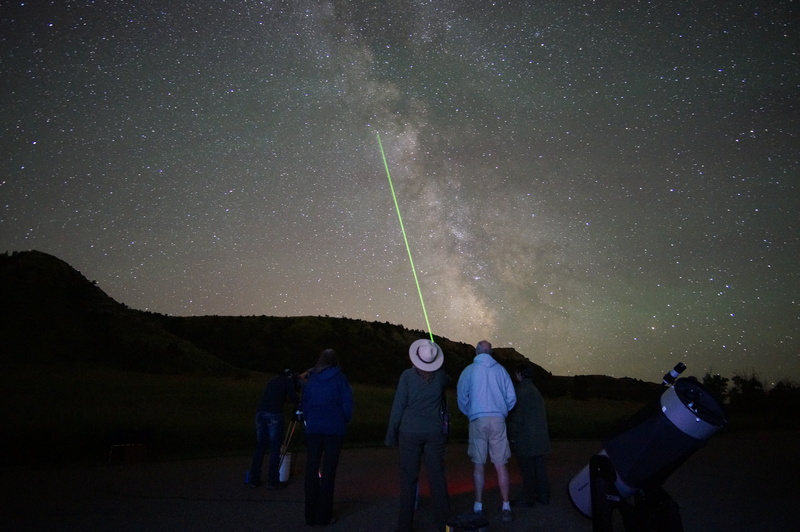 MEDORA, ND – The fourth annual Dakota Nights Astronomy Festival will be held September 23 – 25 in Theodore Roosevelt National Park and Historic Medora. This year’s guest speakers are Dr. Tyler Nordgren, professor of physics and astronomy at the University of Redlands, artist, photographer, astronomer, and night sky ambassador; Dr. Joe Shaw, Director of the Optical Technology Center at Montana State University; and Dr. Paul Barnhart of the Department of Natural Sciences at Dickinson State University.